I have an eclectic taste in collecting....Antique French fabrics, grainsacks, and beach glass. 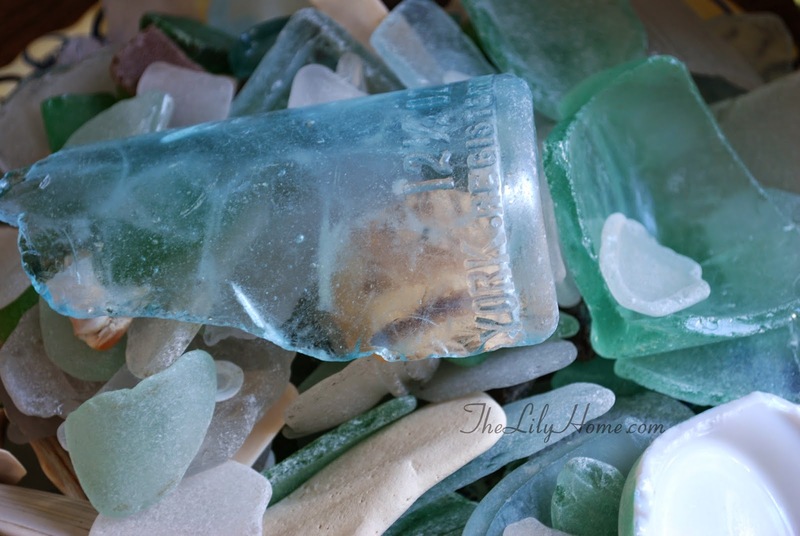 I am also very picky about my beach glass. I found every single piece myself, and almost all of it I found walking along the beach on the North Shore of Long Island where I used to have a home. 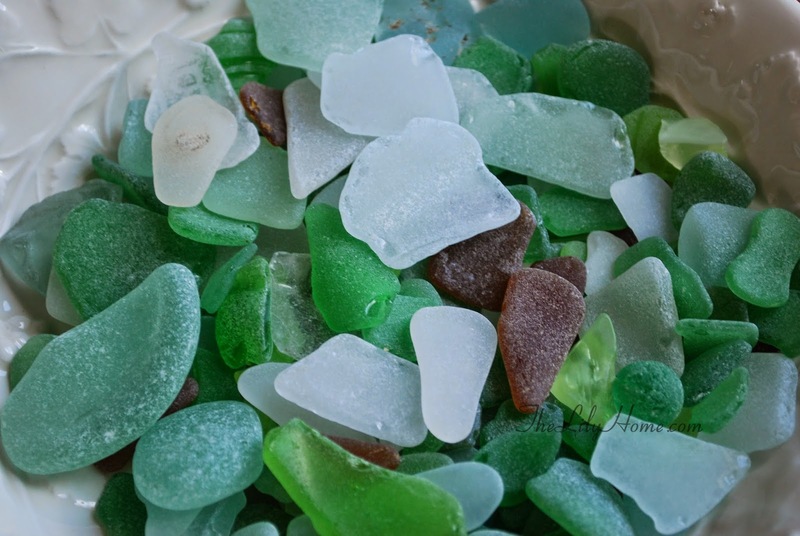 No store bought beach glass for me, thank you :). Now, normally I am not a snob. I am more a tee shirt and flip-flops girl than a diamonds and decked out gal. 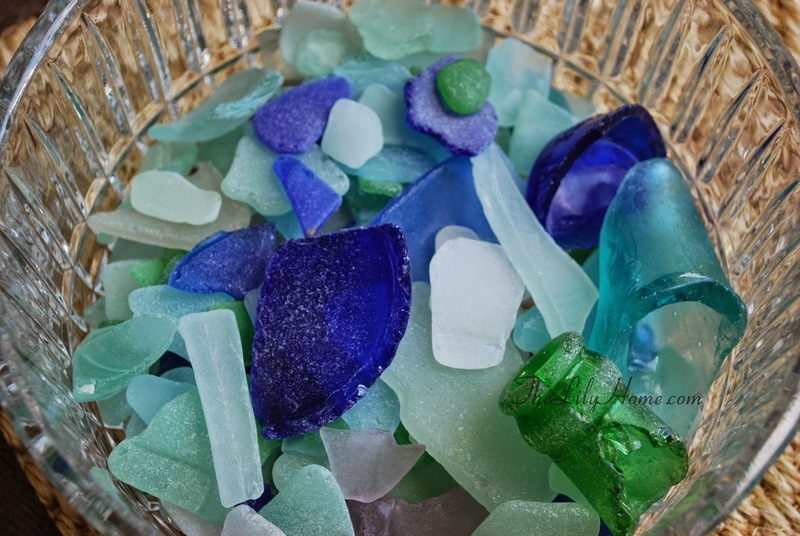 But when it comes to beach glass, I am definitely all about high end. 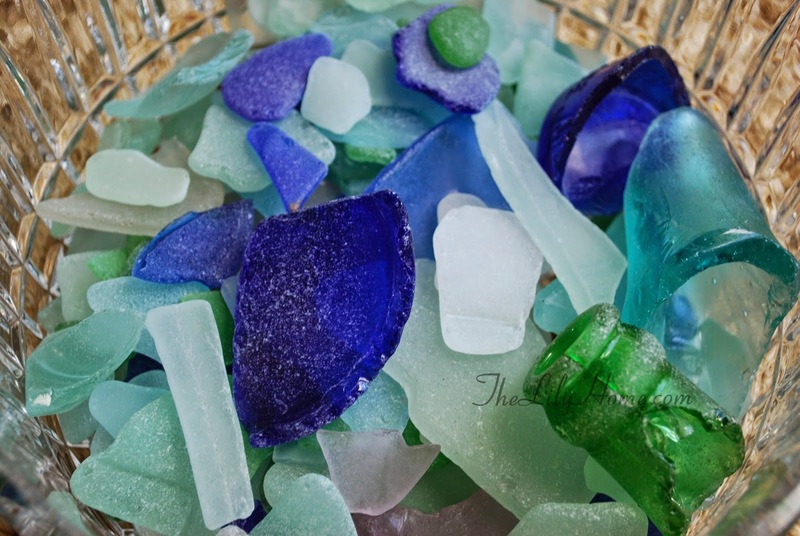 I'm pretty sure my beach glass collection is ... ummm.... "the best", and my best friend Barb and I have always had a friendly little competition, just to prove it. Barb and I lived along the same stretch of beach for almost a decade. We walked that beach together many times, with children and without, almost always with a dog or three, in freezing cold, humidity and heat, and once on such a windy day I thought we would never make it back. We always had a great time, talking about everything from gardening to marriages. We became lifelong friends along that beach. Turquoise, lavendar and deep blue were the best. Barb could never understand how I could find so much deep blue glass. She has one little jar. I have more. Brown on the other hand, was run of the mill. After a while, it wasn't even worth bending over for. Sometimes, we would find what we thought was a great piece of white, only to realize it was "just" a rock. The most rare is red, or orange. I have only one piece of red beach glass. Barbara, to the best of my knowledge, has none. Shapes are also key. I have a marble. A real, old genuine marble. I also have a full bottle, still intact. And lots of bottle necks. The rounder and smoother, the better. If it's too "new" we have an unspoken rule: we send it back into the sea. It's not "ready" yet. It goes back into the water for another collector to find years down the road. (ummm... down the beach). 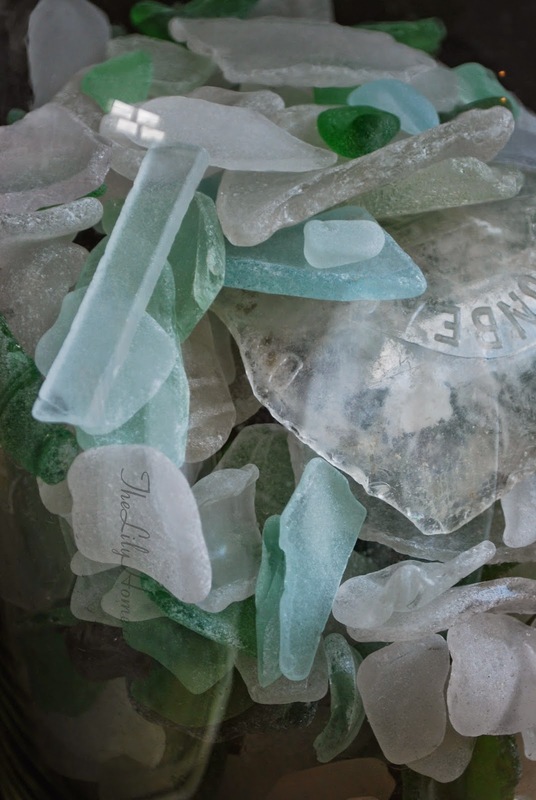 Recently, I finally unpacked my beach glass collection. I washed off all the dust, and I am ready to find a beautiful way to display it. Now I know I am home. 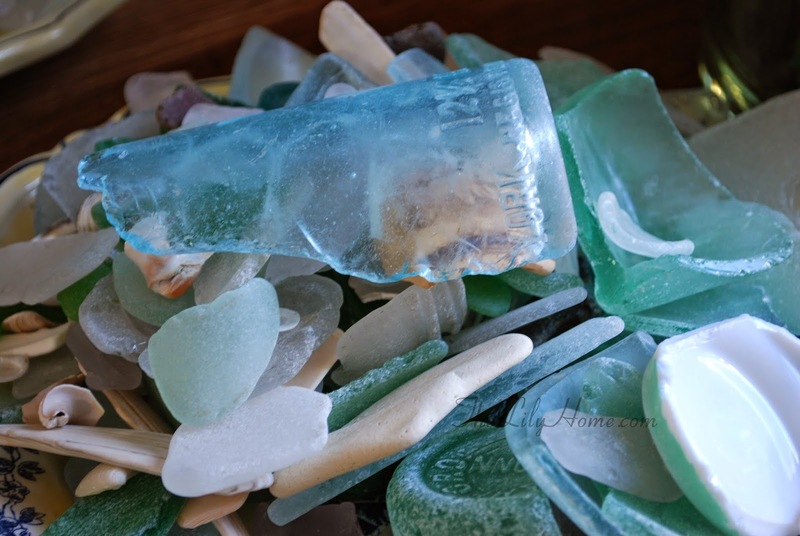 Barb is always excellent at displaying her beach glass. Hello Lily, I really like your work and the way you write on your blog. I really appreciate the french art of living , just like you. I wish you the best! Thank you so much Camille! I love receiving kind words from readers! !